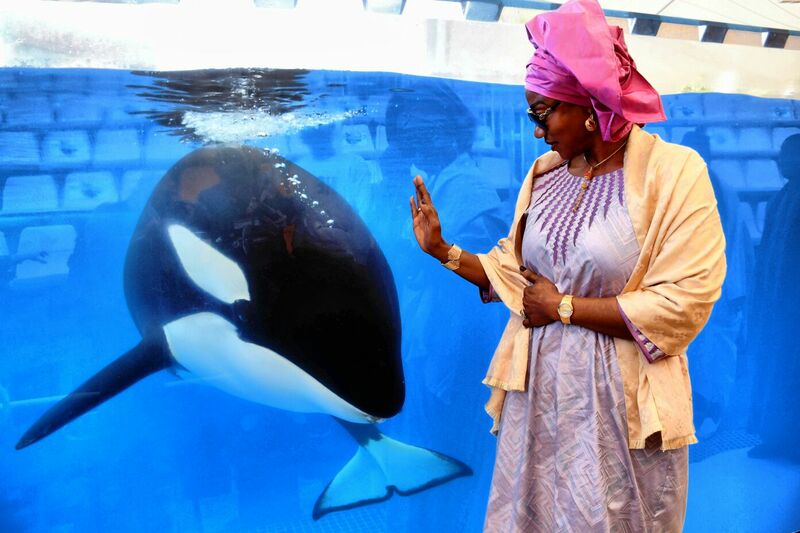 During this past weekend, Loro Parque received a visit from Sokhna Bally, a Princess of Touba en Senegal. She is well known for her work for the cause of assisting and empowering women. The Princess visited Tenerife to attend the Exemplary Woman Awards presentation held by the Más Mujer magazine. During this event, the princess received a prestigious award from Ms. Delia Herrera, Exterior Action Councillor of the Island Council of Tenerife. 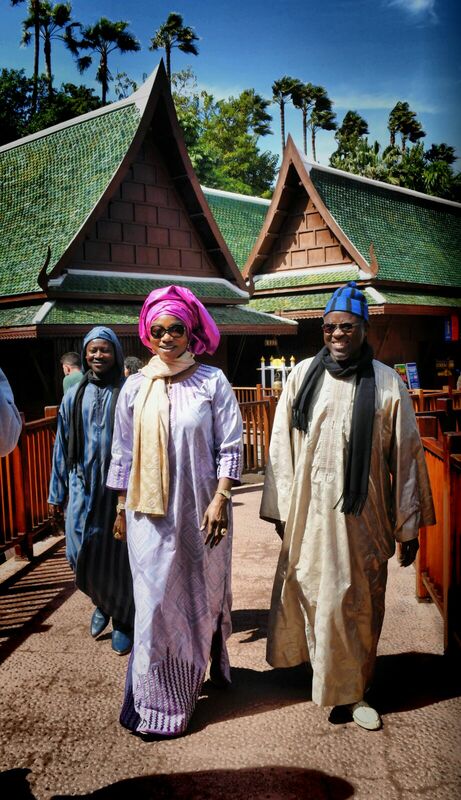 Thus, Sokhna Bally took advantage of her trip to pay a visit to the Best Zoo in the World, according to TripAdvisor. 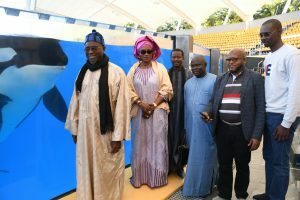 Sokhna Bally made a tour of the Park and enjoyed its main exhibitions, as well as the spectacular presentation of orcas. She also had an opportunity to learn more about the work of the Loro Parque Fundación, located in the emblematic Animal Embassy, a facility whose design is primarily inspired in the African Continent. The Princess of Touba advocates for Mame Diarra, a foundation created to support neglected women and children in Senegal, and she is also the founder of the Mandiara Association, which focuses on Senegalese women living abroad. During her visit in Tenerife, in addition to the Exemplary Woman Award, the princess received the title of an Illustrious Visitor of the Island. Ms. Bally did not want to leave the Park without expressing her gratitude in the Loro Parque’s Book of Honour, in which she emphasised that the visit to Loro Parque, which she described as a place full of colours and diversity, was a unique experience for her. She also commented on the excellent welfare of the animals, and bid farewell by thanking and congratulating the entire Loro Parque’s team.